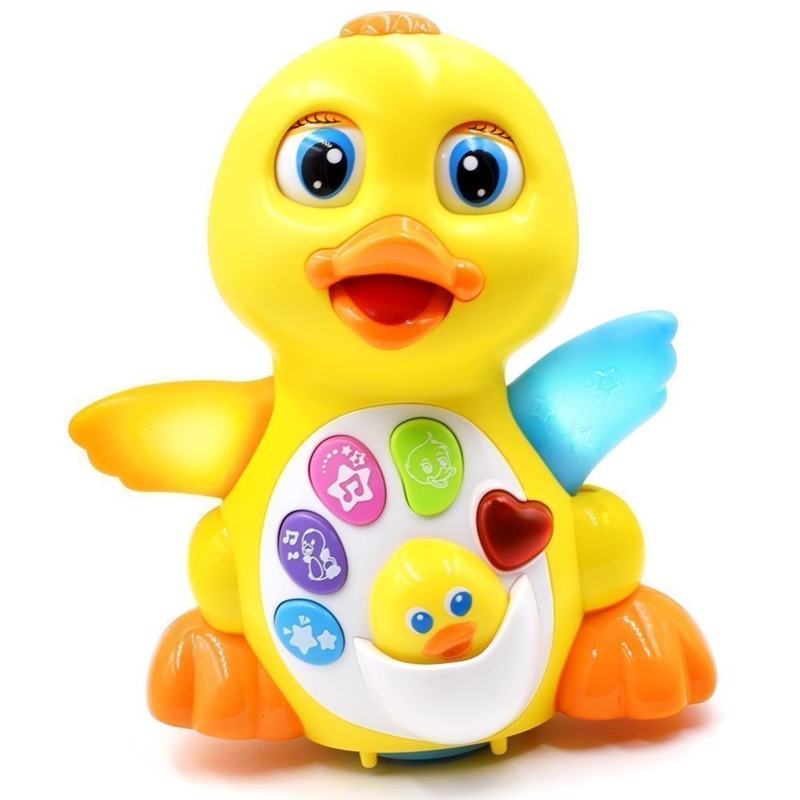 The duck has a button on top of its head that when pushed will trigger motion. It will sing a fun sing-a-long tune, flap, and light up its wings. 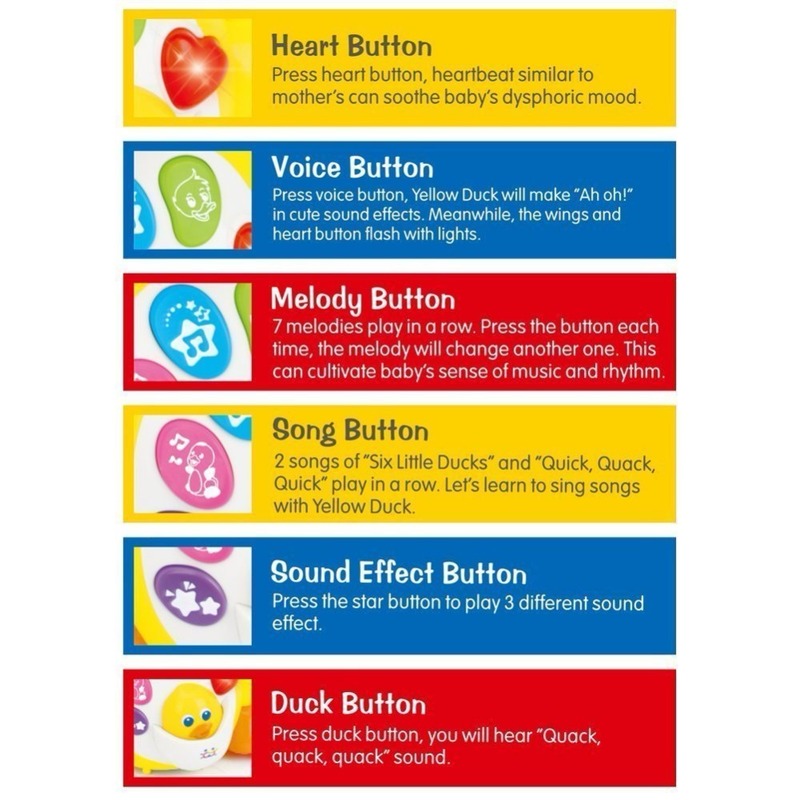 Five button effects with a quacking button, there is a song button, a melody button, a button that allows the duck to talk, and a heart button that make a warm heart thumping sound. The duck also has a little baby duckling that if pushed it will quack and light up it mom’s wings. The sound can be adjusted to mute, low, or regular.